We have convenient times available including Sundays. Contact our office to schedule an appointment! Before I came to see you, I couldn't leave the house. I looked so bad. Whenever I went to a medical appointment I would ask for the last appointment because I didnâ€™t want anyone to see my face. Now I look great! Thank you Doctors at Acne Clinic your treatments was truly a miracle. I am not ashamed of the way I look anymore. I could look people in the eye again. Thank You. My friends can't believe I am the same person. I would never look anyone in the face now I am the life of the party. 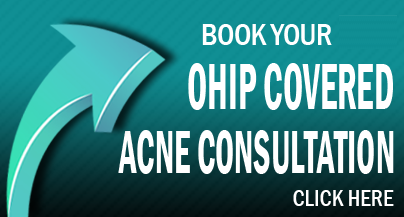 Thank you Doctors at Acne Clinic. I used to be so depressed and unhappy. I didn't want to go out or do anything. Now I have a lot of fun going out. WE SERVICE THESE ALL THESE CITIES HOWEVER WE ONLY HAVE LOCATIONS IN MIDTOWN TORONTO, DOWNTOWN TORONTO, RICHMOND HILL, WOODBRIDGE, YORKVILLE, OAKVILLE, PORT CREDIT AND BURLINGTON.